If you don’t already know her, we are so excited to introduce you to our bridal events manager, Sabrina Aloe! 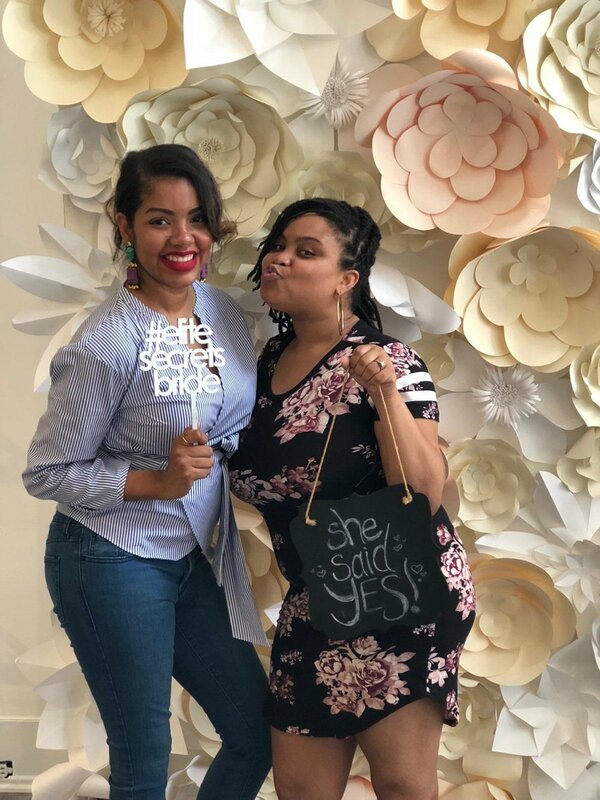 Sabrina lives for the behind-the-scenes at any ESB event, ushering brides through their journey to saying yes to the dress, and adding life to any party that comes her way. A true fashionista at heart, Sabrina, is gifted with expertly styling brides for their Big Day. And of course, she does it with style and a pop of red lipstick to boot. As the saying goes, it takes one to know one. Sabrina was once an #EliteBride herself. The bridal expert is wife and mom of two. Stop by and meet Sabrina in person (Saturday, July 7th is her birthday). And, schedule your appointment with her to say yes to your dream dress to become an #EliteBride, too. We can’t wait to serve you.